General Hospital spoilers relate that Jordan Ashford (Brianna Nicole Henry) wants to meet with Julian Jerome (William deVry) about Ava Jerome (Maura West), Nora Buchanan (Hillary B. Smith) returns with a surprise move, and one war is starting while another comes to a close. If you missed the General Hospital spoilers for Friday, catch up with your General Hospital recap for the day. 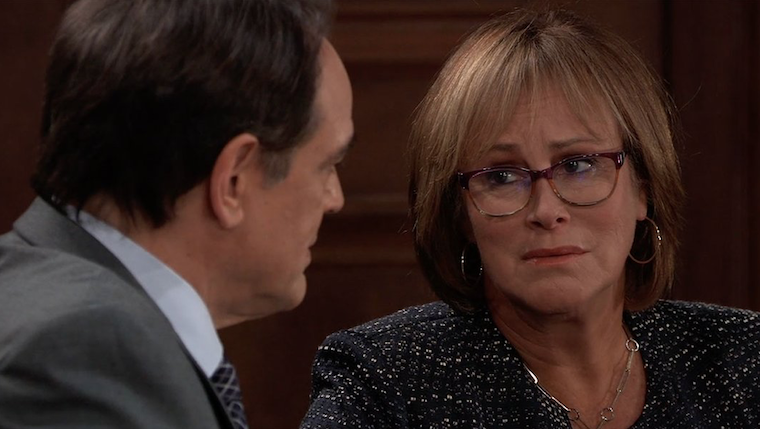 Margaux Dawson (Elizabeth Henderickson) is furious to be called in for a special hearing, especially once Nora opens things by calling for the case against Kevin Collins (Jon Lindstrom) to be dropped. She can’t even, and reminds everyone involved that Kevin’s hiding Ryan Chamberlain from the authorities allowed these murders to happen. Nora doesn’t exactly dispute any of that, even admitting that he made an error in judgement. However, she still wants the case dropped because dead men can’t be fugitives. She points out that Ryan had already been declared dead by officials before Kevin discovered this and brought him to Ferncliff. The judge is inclined to go with that reasoning and dismisses the case—after giving Kevin a good talking-to, of course. Margaux is shocked and promises to appeal. The judge says that’s her call, but she’d advise against it, as an appeal would likely go the same way. We can picture Marguax’s Dawn of Day sessions now. Speaking of dropped cases, Jordan apparently makes one more appeal to Marguax to allow her to keep looking into Ryan’s disappearance. Ava overhears them talking, as well as Margaux’s refusal, then confronts Jordan. Jordan’s apologetic, but what she can she do? Her hands are tied. Ava’s, not so much, and she alludes to as much. Jordan’s curious about what Ava has in mind, but Ava’s not talking. This worries her, so she makes a call to Julian to suggest he do something about his sister before she crosses a line. Right. We’re sure that’s going to work so well. Related to this, Laura Webber (Genie Francis) is still not convinced of Ryan’s death, either. She seeks out Hamilton Finn (Michael Easton) to get his medical opinion. While Finn admits this isn’t his specialty, he does offer up that it is possible that Ryan survived. For us viewers, it’s very probable, as we also see footage of someone watching Ava. Actually, more like two wars are on. The first is between Spencer Cassadine (Nicolas Bechtel) and Valentin Cassadine (James Patrick Stuart). Valentin is still holding that election tampering over Spencer’s head, and manages to scare the kid some by saying his age will mean nothing if this comes out, legally speaking. We’re sure we’ll be seeing more of these two going head-to-head soon. Our money’s with Spencer. As for the war that’s over, Maxie Jones (Kirsten Storms) and Nina Reeves (Michelle Stafford) have reached a truce in their fight. If you remember from previous episodes, Nina was furious with Maxie for doing another DNA test to determine if Sasha Gilmore (Sofia Mattsson) is really her daughter. She’s kind of treating Maxie like a leper until Sasha rushes in and begs Nina to forgive her. She points out that Maxie was just trying to protect her, and she would hope Nina would have the same forgiveness for her if she made a mistake. Yeah, that guilt is really getting to her. Anna Devane (Finola Hughes) tells Robert Scorpio (Tristan Rogers) her theory about Robin Scorpio-Drake’s (Kimberly McCullough) real parentage. He thinks she’s delusional and wanting to suffer for her double-agent past, and he’s not interested in either he or Robin being taken along for the ride. He insists there is no way that was Alex Marick on that first mission, but she points out they didn’t really know each other before that, plus she and Alex are identical twins. This makes it hard not only to be sure who was who, but to get DNA results to solve this riddle. 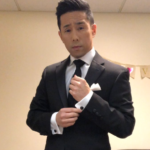 Days of Our Lives Spoilers: Jack Chokes At Campaign Rally, Screws Up Eve’s Master Plan – Ben Gets Whiff Of Claire’s Misdeed At the Cabin, Will Angry Ben Come Out For Vengeance? The Bold and the Beautiful Spoilers: Massive Shocker Leaves Everyone In Complete Disbelief – Hoax Gets Exposed At Last!